So by my last count, Australian pop diva Kylie Minogue has like 7 or 8 different greatest hits compilations (and, yes, I own all of them). What could yet another offering provide beyond a different sequencing and marketing/packaging? Alas, not much. So, why bother? Well, it’s relatively cheap at $11 (or $17 with DVD) on Amazon, and it does include a few relative rarities (at least by prior collections’ standards) – particular standouts being the rather epic (and completely infectious) “Better the Devil You Know” and the swirly, sitar-laced bon-bon “Confide in Me.” It also includes Kylie’s rather unfortunate other cover hit – Kool & the Gang’s “Celebration” (which is about like listening to paint dry). 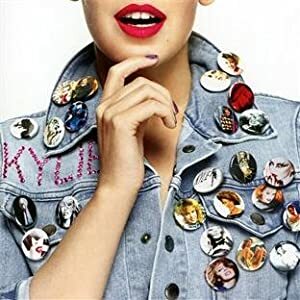 There is also the cheeky cover image of Kylie in a vintage 80s acid-washed, denim jacket festooned with buttons (remember when we all did that? wow) that depict images of the singer over the years. And the busy, multi-logo’d track listing on the back is both kitschy and a bit maddening for aging eyes to read. All in all, if you have other collections, you can skip it. If you don’t and you want to buy the sonic equivalent of a can of Diet Pepsi, go for it. Or, if you are a nutty completist like I am … then you’ve already bought it. 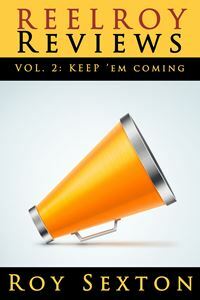 you are the handsomest “critic” ever!